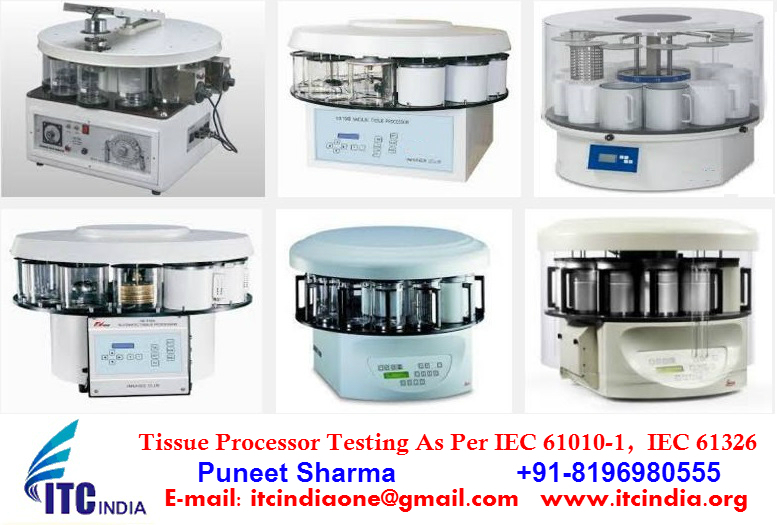 ITC India Providing Electrical Safety Testing and Certification for Tissue Processor As Per IEC 61010-1, IEC 61326. IEC 61326 Testing in an EMC/EMI lab with five test chambers including two three-meter chambers and a staff with EN/IEC 61326 expertise. If you have any query regarding Tissue Processor Testing and Certification. Kindly send us your testing requirements with the product technical details to submit you our testing charges.